We, UNIQ, take pride in ourselves in producing the highest quality and styles for our audience. We are a Young Contemporary brand specializing in chic women's apparel with a combined experience of over 30 years in designing, manufacturing, and distributing. 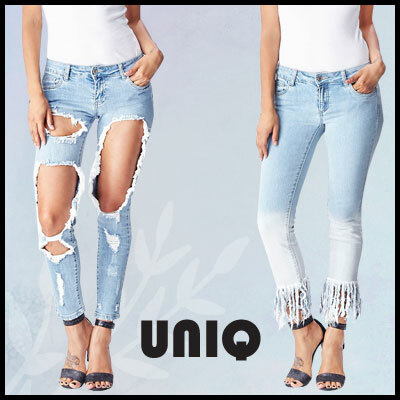 Bringing to you the newest trends for your every day look, the team at UNIQ works hard to create and produce a broad collection of styles you and your customers will love. We are well known for our denim, which is produced under our second line LITZ by UNIQ, but our brand also caters to a variety of sweaters, tops, and dresses, perfecting the quality and styles for satisfied customers.